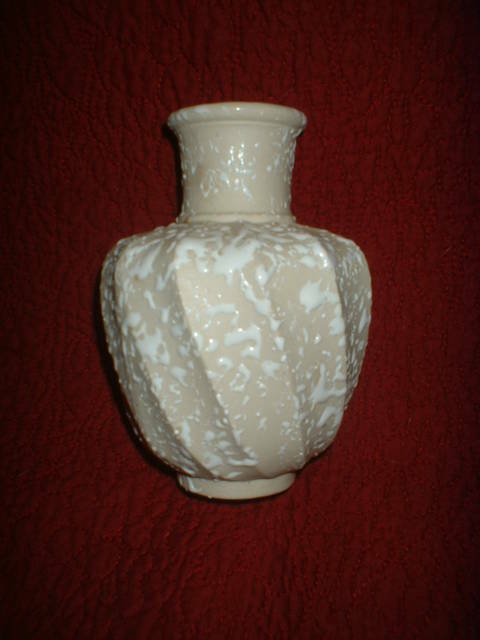 Description: This is a wonderful little vase - beige with a shiny white splatter on it. 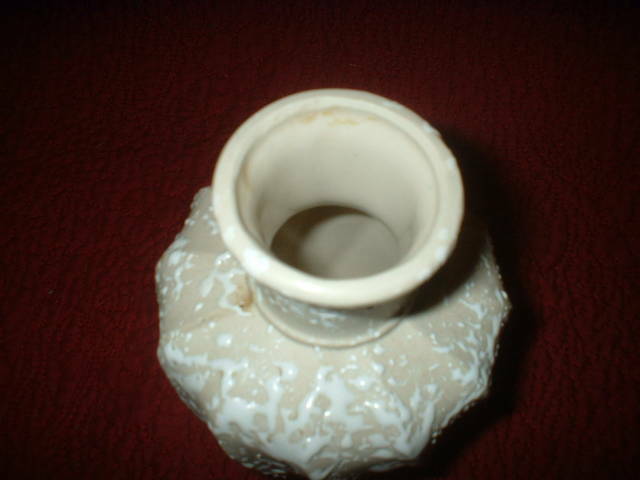 It has a very appealing shape and the colour combination is very warm. I haven't a clue who made this sweet piece ~ the only clue is that the words "Made in USA" are literally scratched into the bottom. The vase measures 5 1/4" tall by 3 1/2" in diameter. 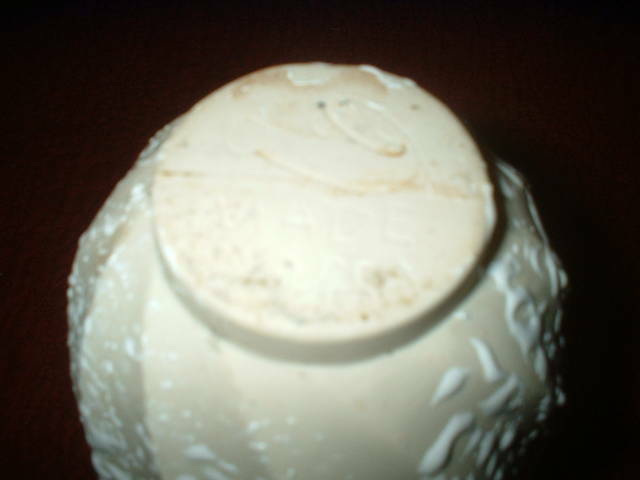 It is in excellent condition with no chips, cracks or crazing.